As a Kentucky homeowner, you’ve likely been concerned about the condition of your roof. Recent deluges of rain and unexpected hail have damaged homes in Boulder, Lafayette, Louisville, and beyond, impacting the roof’s ability to keep temperatures in while keeping moisture out. As Louisville’s roofing experts, HCI Roofing and Construction is dedicated to providing the very best outcome for each of our customers. Our roofing contractors understand that services such as gutter repairs, roof replacements, and more can be costly, and we will work hard to find the very best outcome for your Kentucky home. If you have been delaying inspecting your home for damages, our roofing company is here to say that now is the best time to get it done. Today, we’ll highlight a few reasons why you should seek out professional roofing repairs in the fall, as well as the value that our team can provide for your project. Be sure to contact us afterward to receive your free, fair estimate! We are about to enter that special time between extremes here in the Centennial State, where temperatures and weather patterns are more consistent than normal. 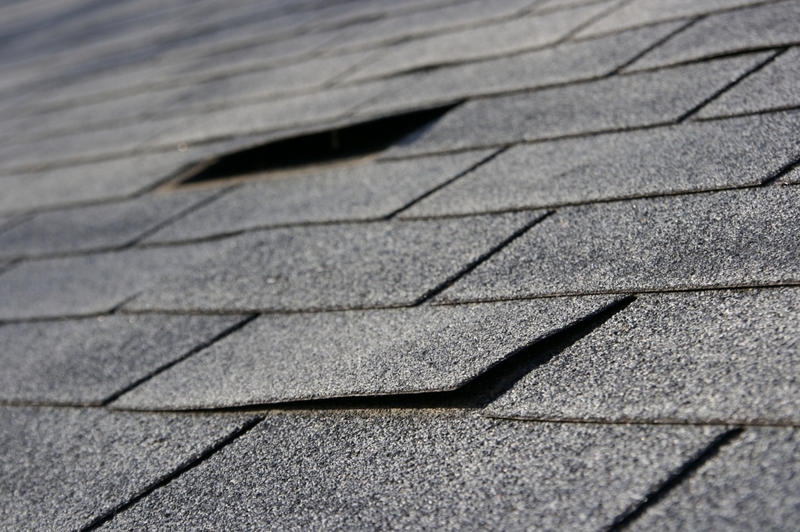 August was full of hail, and November may bring blizzards, making now the perfect time for a roof inspection. Less moisture means things are drier, the sun is less intense, and so on. Our roofing contractors can arrive at your home and check for damages, offering honest solutions to ensure that you are ready for the winter ahead! Beyond the lack of summer rainstorms and before any unexpected winter blizzards, you can benefit from the weather when installing asphalt shingles. Temperature plays a major role in all roofing services, including the strength of your adhesion. Most roofing companies will tell you that the weather will impact the quality of your services, and experts have agreed that moderate temperatures are the best environment to install asphalt shingles. During the fall, Kentucky temperatures tend to hover in this perfect zone, creating a better outcome for your home. Fall is also ideal for roofing services because of the comfort for your family throughout the process. In the summer, removal of roofing elements can sap the thermal insulation of your home, resulting in sweltering temperatures. Wintertime services can result in the same outcome, with homeowners freezing instead. As the temperatures recede, now is the time to open up your windows and enjoy the fresh air! Roofing repairs and installations can be done in the winter, but keep in mind that time is needed to ensure a complete bond between your new roof and your home. Our professional roofing contractors will be the first to tell you that the quality of your seal will play a large role in protecting your property from outside extremes and moisture. 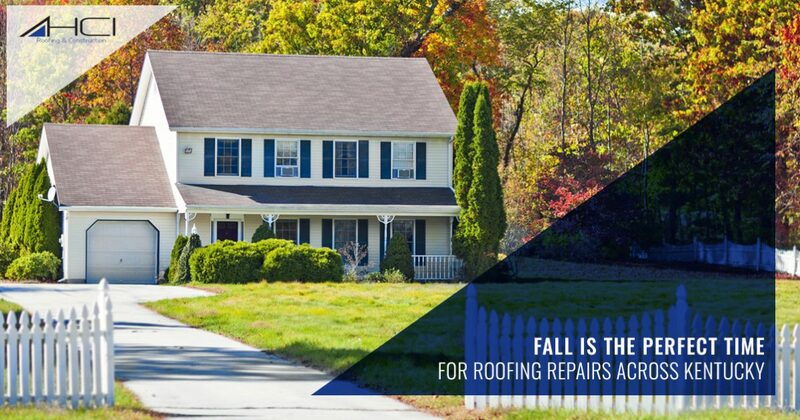 Performing roofing services in the fall ensures that you have a good window of time for your repairs to cure, ensuring excellent future performance. HCI Roofing and Construction is proud to be your comprehensive roofing contractors in Louisville, delivering local services that protect your home against the worse weather. Call us today to get an estimate for your home! Dropping temperatures can result in serious problems when it comes to roofing installations. Asphalt shingles become more brittle in cold weather, causing roofing contractors to go slower and practice more caution. While you may still end up with a beautiful roof, keep in mind that these fragile conditions will likely elongate the finish time and up your labor costs. Unfortunately, putting off roofing repairs can result in costly and often risky outcomes. Many homeowners procrastinate inspecting their roofs, placing their homes at risky throughout the winter. 2018 is predicted to produce heavy snowfall, making it essential ensure that your shingles are in place and ready to provide protection. Homes with weakened roofs and standing snow face the possibility of a structural failure! Autumn provides the perfect lull to prepare for the season ahead, delivering peace of mind in addition to outstanding protection. Ultimately, your roofing services should be done in the fall to provide the best protection against falling temperatures and snowfall. Kentucky’s dynamic weather means that inclement storms can form at nearly any time, producing heavy periods of rain, hail, snow, and more. Professional roofing services can help to better insulate your home, lowering your energy bills in the process. HCI Roofing and Construction is experienced in providing amazing outcomes for homes of all sizes, delivering affordable results in a professional, honest manner. We can work with you to create a personalized care plan, from the first inspection to gutter repairs, corner roofing, flashing, and more. Contact us today to learn more and to receive your free quote for our Louisville roofing services!